“Life’s Like That” is the title of a regular feature article from ‘The Dalesman’, a monthly publication about life in the Yorkshire Dales in England that my dad subscribed to years ago. The article would tell a story about people’s experiences with the stuff that life throws at you from time to time, and how there is always something unexpected and good that comes out of what initially appears to be a bad situation. For me, ‘life’s like that’ sums up how I feel about our story. I’ve always loved the movie “Calendar Girls’ starring Helen Mirren; maybe it’s the Yorkshire Lass in me! 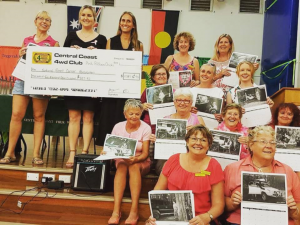 When a friend was diagnosed with Breast Cancer, I was chatting to another friend about it at the 4WD Cub meeting; we wondered if we could do something amongst the girls in the club to boost morale and give support to our friend and maybe raise some funds too. I jokingly mentioned the movie, and it turned that my friend had actually done a “Calendar Girls” style calendar a few years earlier. This was mid October 2016. Well, now its February 2017; I am still reeling and have not really quite digested the fact that “we did it” to quote an oft repeated phrase of “Miss March 2017”. We raised an amazing $10,843 for the National Breast Cancer Foundation. A fantastic outcome and even better than that, our friend has finished almost a year of treatment, and the last scan was clear, which is the best news. I don’t quite know ‘how’ we did it, really. In a matter of weeks we had sourced a photographer, a printer, sponsorship, a location for our shoot, and enough girls willing to ‘get their kit off’ and be photographed in the bush for a good cause! Our end product, a beautifully shot 4 Wheel Drive and camping themed black and white 15 month calendar was launched at our Club December meeting, and almost 50% of the stock was sold on the first night. That totally blew us away! 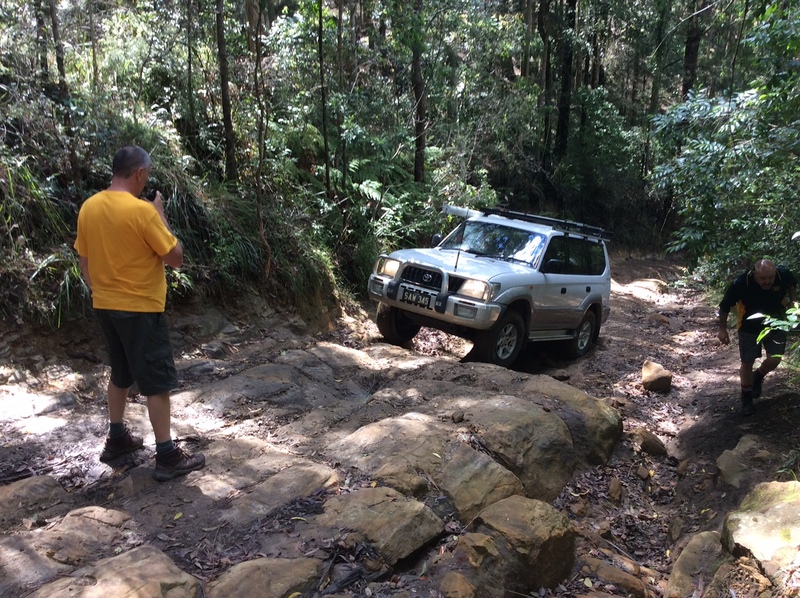 The recent Australia Day weekend trip to the Deua River and Bendethera Valley provided the participants with an interesting mix of steep and winding tracks and great scenery. 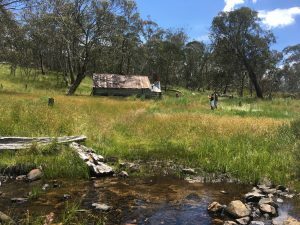 The group camped for two nights by the old homestead site in the picturesque Bendethera Valley, travelling out for a day trip along the Mongamulla Track, which skirts the valley and includes some steep terrain and a number of Deua River crossings. The river was much lower than usual and presented no challenge. Significant earlier storm damage was evident in a few places along the Deua River, but the tracks were in good condition. On Saturday, the group travelled the iconic Merricumbene Firetrail to Dry Creek and on to a great Youcamps site – Full Circle Farm, where a dip in the Buckenbowra River was very welcome on such a hot day. The final day of the trip included a drive through Currowang State Forest before the group headed home via Braidwood. 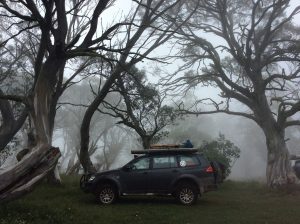 A total of 26 vehicles attend our recent high country trip over the Christmas/New Year break. The group base-camped at Talbotville campground, the site of an old gold mining settlement on the banks of the Crooked River. There were many day and overnight trips from from the base camp, with the group tackling Billy Goats Bluff, Blue Rag Range, Murdering Spur, The Wonnangatta Valley, Sarah Spur, Water Spur, Zeka Spur, Collingwood track, Bulltown Spur and South Basalt, just to name a few! There were some great happy hours and evenings around the fire and the group even enjoyed a Masquerade party for New Year’s Eve. 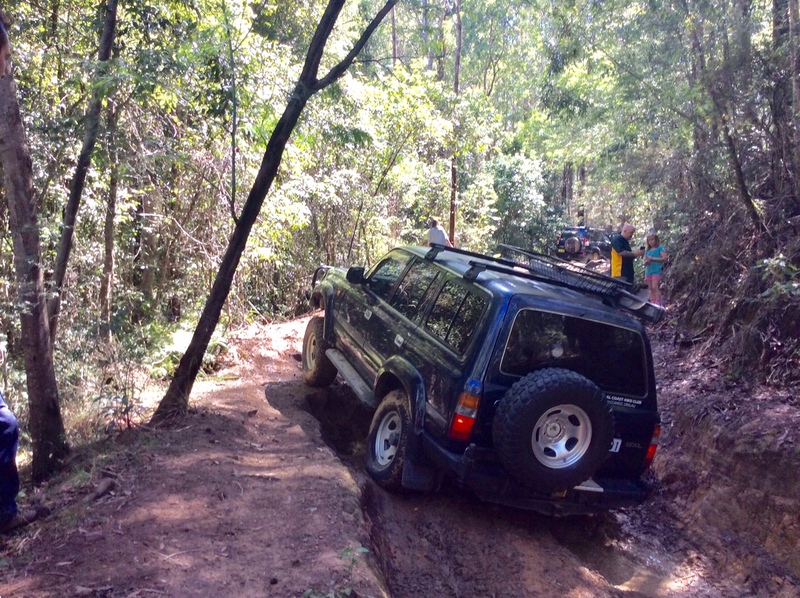 The club’s Ourimbah State Forest Day trip was a day that offered plenty of excitement. The crew consisted of some new and some older members who met at Palmdale on Saturday morning for a great drive in our local forest. 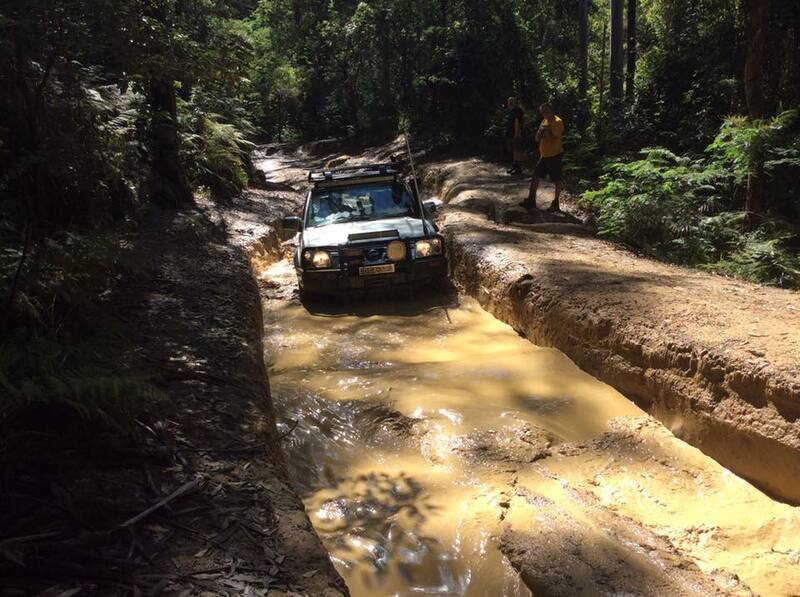 Some long and deep mud holes were the first challenge of the day, with all vehicles mastering this easily. 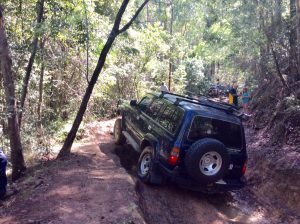 Many of the tracks were quite rutted and negotiating them required some road building, a lot of technical wheel placement and some expert guidance from some of the experienced drivers. Lunch was held in a picturesque spot with a great outlook but participants first had to conquer a number of rock steps to get there. Old and new members all agreed that they’d had a great day out and were all looking forward to the next trip. 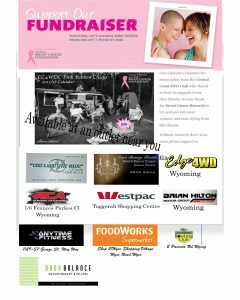 The CC4WDC Pink Ribbon Chicks are conducting fundraising with a difference by selling a cheeky new calendar for 2017 to raise funds for breast cancer research. Featuring members of the group in a series of beautiful black and white photos, sales from the 15 month calendar will be donated to the National Breast Cancer Foundation (NBCF). 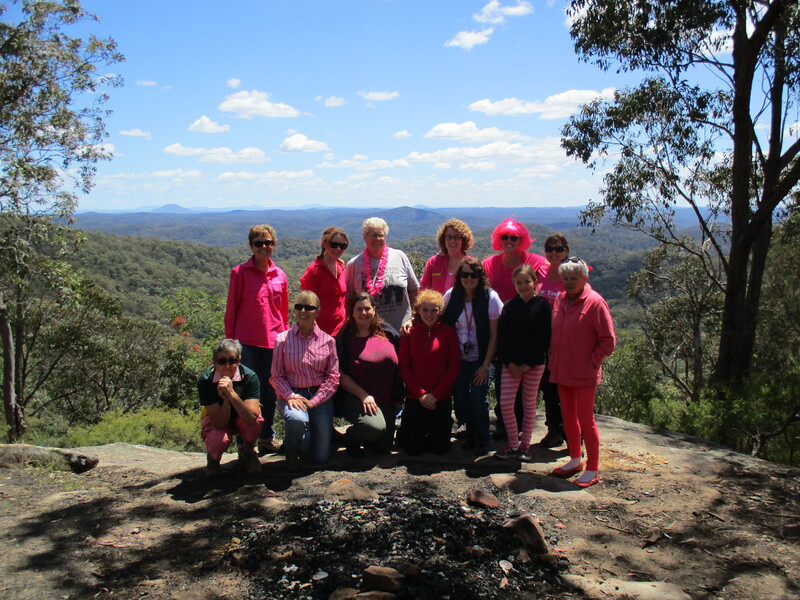 The concept for the CC4WDC Pink Ribbon Chicks calendar was initiated during one of the Club’s Ladies Days, during which only the women drive and participate in a day trip to the local State Forests/National Parks for a bit of Four wheel driving fun. The ladies wanted to do something to support a close friend who was recently diagnosed with breast cancer. 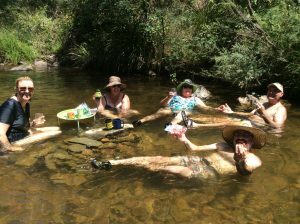 Inspired by the movie “The Calendar Girls”, an idea was born to create a camping themed calendar as a fundraiser, and to have ‘a bit of a laugh’ for a good cause. The photo shoot certainly put each of the girls well outside their comfort zone but was also great fun, and a fabulous, positive team building experience that they will always treasure. NBCF is the only national body that funds life-changing breast cancer research with money raised entirely by the Australian public. Breast cancer is the most common life-threatening cancer facing Australian women with eight women dying from the disease each day — mothers, sisters, wives, daughters and friends. Although rare, it is important to remember that breast cancer affects men too. Research is the most effective way to improve the prevention, detection and treatment of breast cancer. 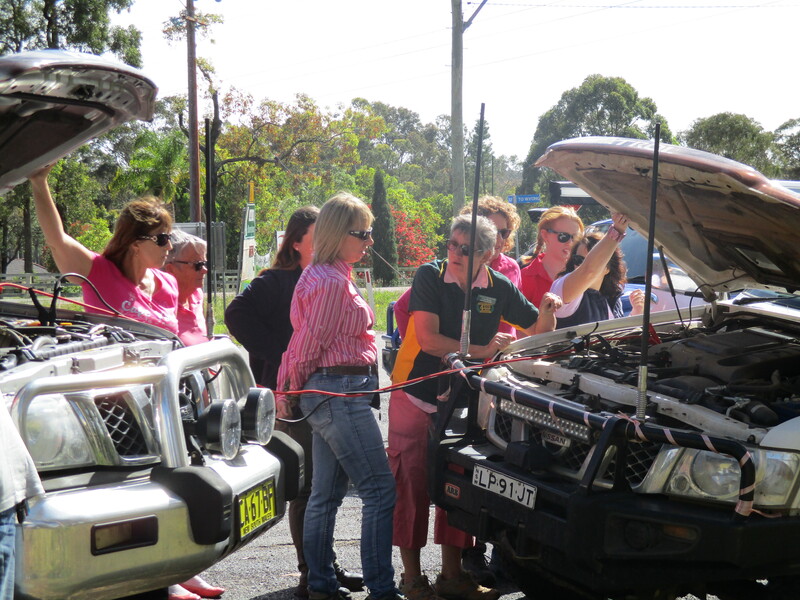 When NBCF started in 1994 the five year survival rate for breast cancer in Australia was 76%. Right now, this is 90%. By funding only world-class research, NBCF is working towards a goal of zero deaths from breast cancer by 2030. Moana Wood, General Manager, Fundraising and Development at NBCF congratulated the team at CC4WDC team for their originality and passion and encouraged Australians to purchase the new Pink Ribbon Chicks Calendar. 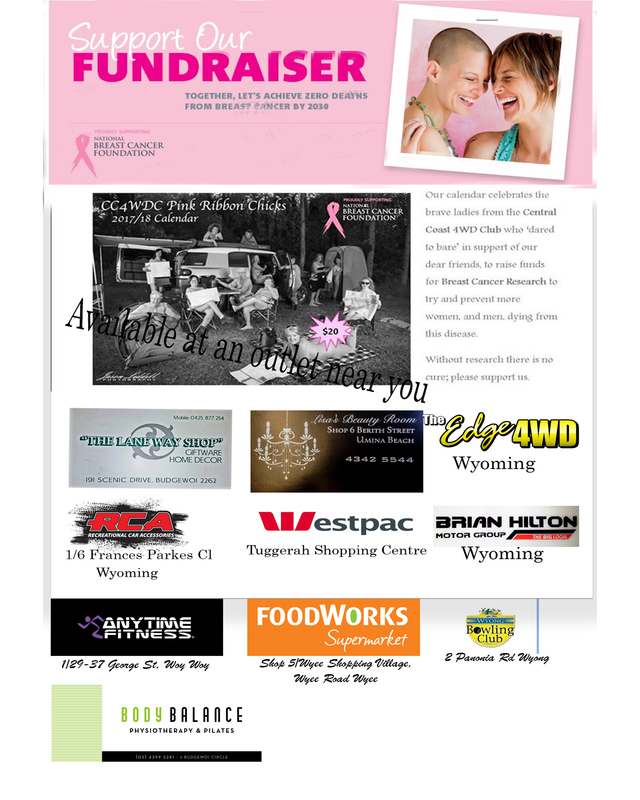 “Breast cancer is the most common life-threatening cancer facing Australian women today. Research is the only way to stop people dying from this disease,” she said. “Amazing and passionate supporters like the CC4WDC Pink Ribbon Chicks enable NBCF to further accelerate breast cancer research to achieve our ultimate goal of zero deaths from breast cancer by 2030,” said Moana. 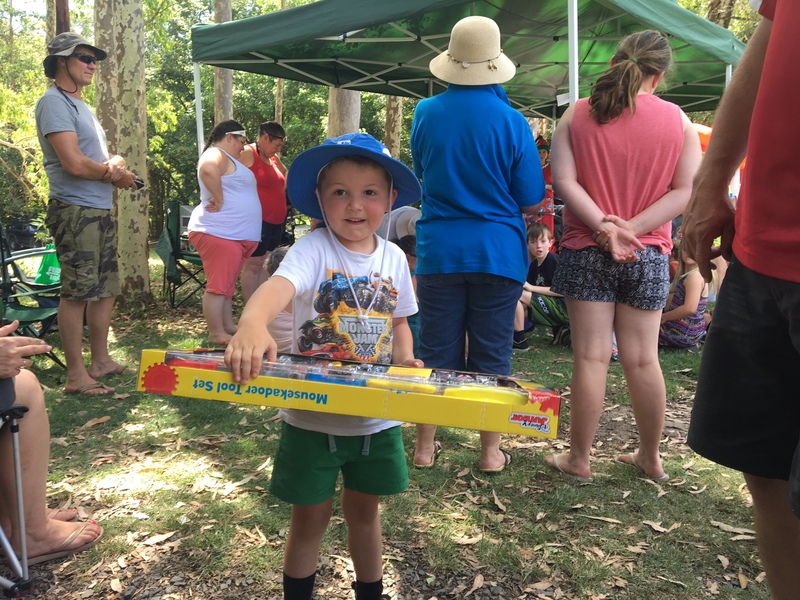 Sunshine and smiles were the order of the day when Santa dropped in to see the kids of the Central Coast Four Wheel drive club this weekend. 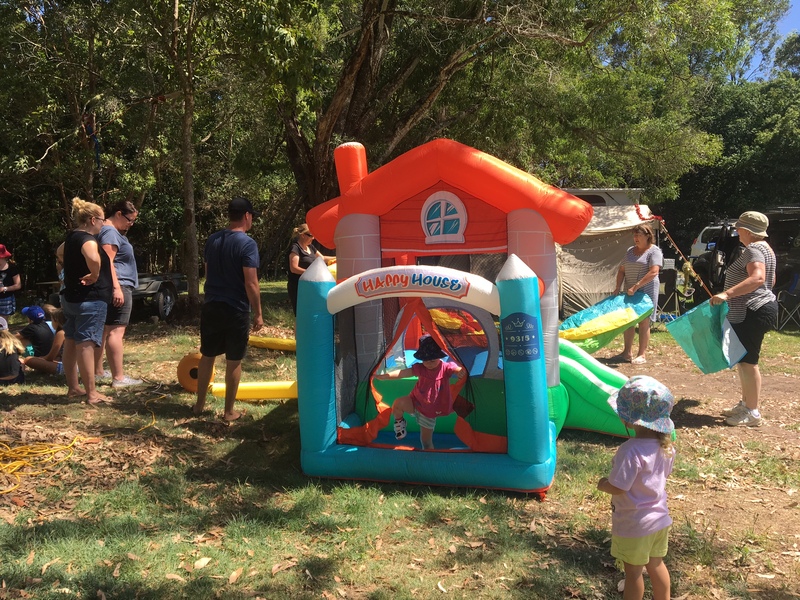 The annual club Christmas Party was a resounding success, with the sun shining all day on the many activities that the club volunteers provided for the kids. Starting with a flying fox in the morning, followed by craft activities, fairy floss and icy cold slushies. 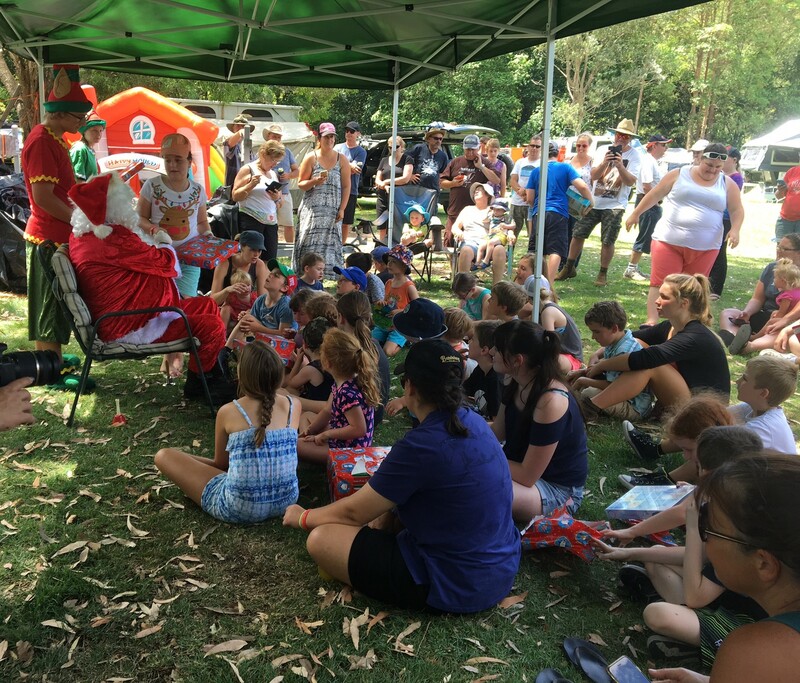 There was a short break for a sausage sizzle lunch, before Santa arrived in nothing less than a firetruck with sirens blaring. The kids had all been very good this year as Santa and his trusty elves handed out a beautiful and individual present to every child. Then it was time for a free for all water fight – from which no one escaped unscathed. A gigantic firetruck powered waterslide followed – providing soapy thrills and spills for the young and the young at heart alike. Drinks and nibbles on the lawn were provided as the afternoon sun began to wane. followed by a beautiful buffet meal with salads and meats of many kinds. Dessert of cake, pavlova and cheesecake topped off a perfect day. This was another fantastic effort by our Social Co-Ordinator, Jo Kelly and her team of willing helpers. 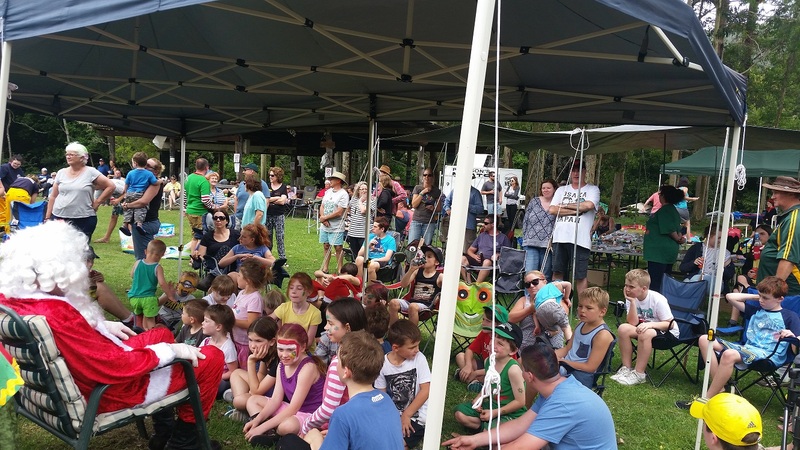 Co-ordinating such a large event in the bush without the benefits of electricity and kitchens is no small feat! The ladies who attended our recent Ladies Day Out had a great time, travelling some interesting and technical tracks in perfect Spring Weather. 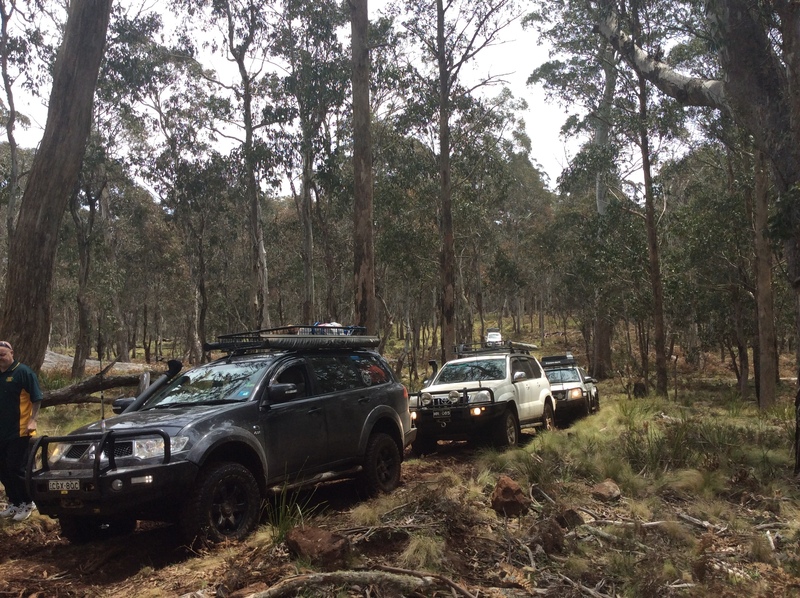 After meeting up at Tuggerah, the convoy proceeded through Jilliby and onto The Pines Picnic area for morning tea. 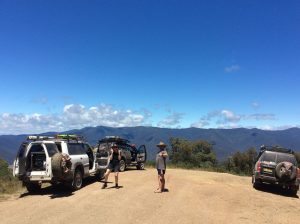 They then travelled west, enjoying some lookouts along the way, before finishing the trip with a lunch at the iconic Wollombi Pub. The participants all wore an item of pink clothing and made a donation to the National Breast Cancer Foundation. A total of $230 was raised by the 11 participants. Those of us who travelled to Nundle last weekend had a great weekend. Despite gloomy weather forecasts, we had brilliant sunshine except for a small thunderstorm late in the day. 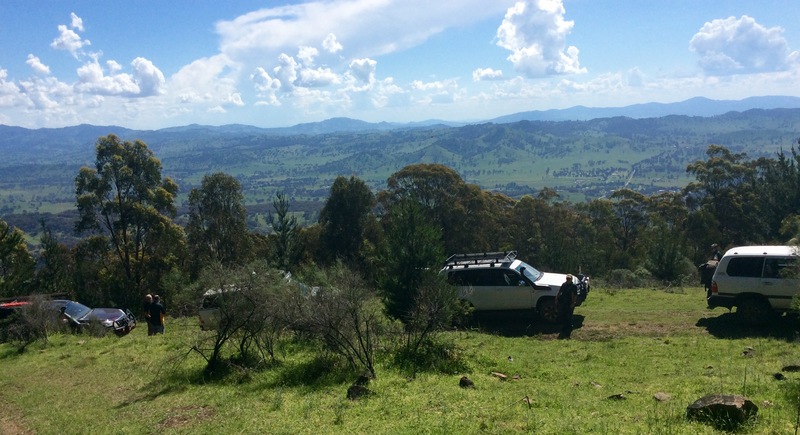 The group travelled via Scone and Timor on Saturday morning, enjoying a leisurely look around the picturesque and historic town of Nundle before setting up camp at Ponderosa Forest Park, a great spot amidst towering pines and deciduous trees. There were some good tracks to keep us all entertained during the afternoon and evidence of a recent ferocious windstorm was everywhere with trees down over many tracks, causing the trip leader to rethink on the go! A good campfire kept the cool evening at bay and on Sunday we packed up early and drove towards Barry Station winding our way through the Barnard River Valley and crossing over twenty creeks before eventually arriving at Ellerston. 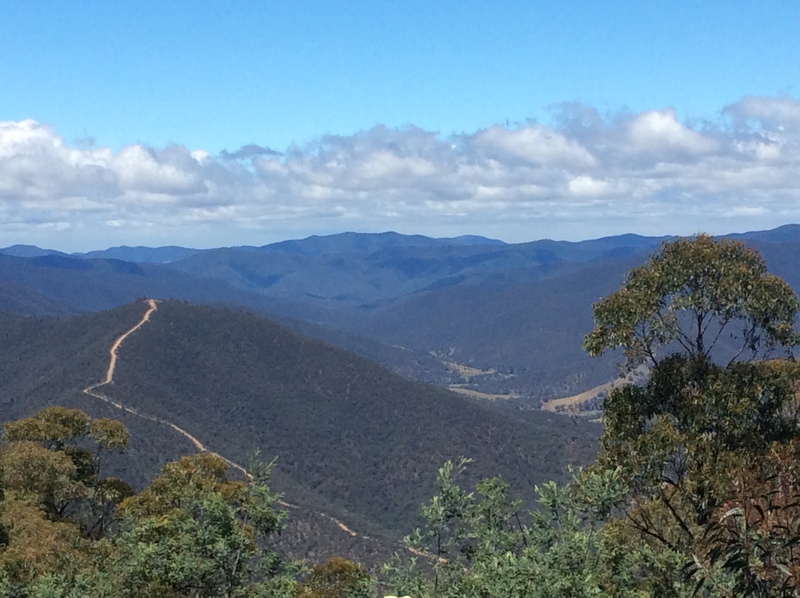 A loop through the western end of the Barringtons followed, along Tugalow and Thunderbolts trails, before we descended through the Dingo Gate, Moonan Flat and home. 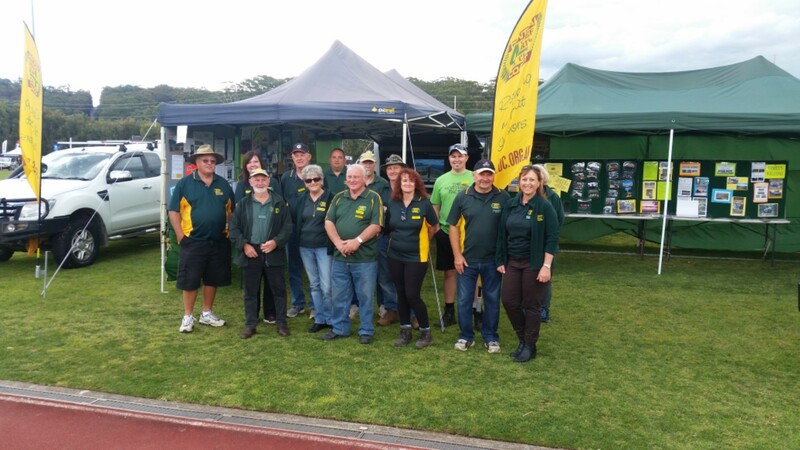 An enthusiastic team of volunteers has again made this event a great success for our club. Trevor Banks who stepped up to co-ordinate our involvement did an outstanding job and ensured that everything ran smoothly throughout the three day event. There were 38 members in attendance over the course of the three days. Some staying a few hours, a full day and a number of them attending on multiple days to help out. With strong winds on Thursday and Friday, the setup crew faced some challenges but did a great job and had our stand looking really good ready for the bigger crowds on Saturday and Sunday. The weather for most of the weekend was fine and calm and there were good crowds in attendance. We received a lot of genuine interest and enquiry about our club with our helpful and enthusiastic members advising and assisting hundreds of show attendees over the three days. On Sunday afternoon, with storm clouds threatening, it was all hands on deck to pack up—completing the job just before the rain rolled in. Thank you to Trevor Banks for all your hard work, both behind the scenes and during the event and to all the members to offered their time. This show is a great opportunity to present our club and its activities in a positive way to the general public.